Are you struggling with managing your finances? Or perhaps you have a financial goal in mind, but have no idea what you need to do to get there. Whatever it is, MONEY Master the Game: 7 Simple Steps to Financial Freedom contains the answers to all your finance-related questions. After all, securing financial freedom for yourself and your family is a goal everyone shares. 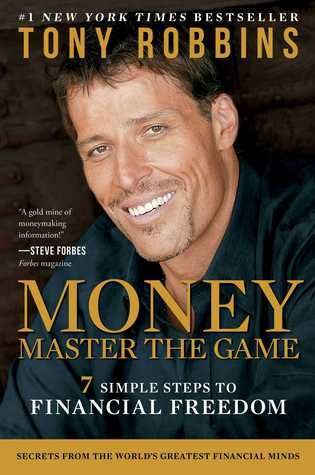 MONEY Master the Game is filled with the advice of over 50 financial experts (including Warren Buffett and Steven Forbes). Plus, the author Tony Robbins supplements each and every piece of advice with actual steps you can carry out to achieve whatever financial goals you desire. We have compiled all these steps into multiple actionable “habits” which you can try out, starting today! Even just implementing one or two of these habits into your daily routine will produce markedly positive changes in your financial management skills. For more than 30 years Tony Robbins' passion has been helping people BREAK THROUGH and take their lives to another level -- no matter how successful they already are -- in the areas that matter most: their business, personal finance, intimate relationships, families, careers and health. Create a V2MOM (vision, values, method, obstacles, measurements). Shatter the most common financial myths. Make the most important financial decision of your life: decide to save money. Identify and follow the most common needs that people try to fulfill with money. Identify how much money you will need to fulfill your dreams. Speed up the process of achieving financial freedom. Find out where you fit on the risk-tolerance scale.